I am hopeful that the columns will find interest, and not receive attack. There is so much bullying on the internet, and this was behind my fear in doing the column. But then I heard the words, “Don’t give up.” I decided then to write the column. The second column follows on what was proposed in the first column – present reframing of concepts in a new light. This is a reflection of my training as a scientist and philosopher. The column is also presented in lay language with art work (by the author). This is the other half of my training as educator and writer. As often as possible, the columns will contain this Libra scale balancing scientific theory and public education. Despite all the training, it still took courage to post the columns online. Fear of rejection is my top emotional button. This is tied back to childhood, and even in my 60’s it is still a nagging voice that never completely goes away. It was a voice that seemed louder in the face of recent life drama. Part of the solution is found with the courage of those three little words, “Don’t give up.” The other part is to Get Up, Show Up, and Act all with a sense of lightness. Since the last blog I have been on a personal healing journey. I have never been one to have PTSD like symptoms – even after Vietnam and some very challenging life events. The past year pushed me in that direction. I became afraid to do anything, terrorized. In order to find my way around that I had to face the causes of the terror and see if I could change them. Only now, more than a year after all the difficulties began, can I say that I am healing and moving forward to a better place. This column would not have happened without the trauma. It pushed me to reach out and speak about the problems I have run into over the past decade and especially over the last year. The column will focus on my experiences and information I hope will be of benefit to others. The column will not have personal rants about the inadequacy of care from this agency or that doctor. I’ll do that here (although I did write to my senator about a specific problem that needed to be fixed within the VA care system). Having the column gives me a way to continue to teach, and to share ideas about the path to well being and self discovery. 5) Apply care daily with peace and meditation. In a new home now that came with no gardens, but plenty of room to make them. My soul also has plenty of room for cultivating peace and purpose. It may seem obvious to some that if you get burned by fire then you are cautious around the stove. But in some instances traumatic events, like having a gas stove flare up in your face as a child and your hair catch on fire and think that you could die, can lead to a greater fear – a terror (in this example a terror of gas stoves and one’s death). Many people carry such terror related to life events and fear of their death. They have developed strategies to deal with this fear that can be called Terror Management (see work done by a Skidmore College professor, Dr. Sheldon Solomon). This blog will be updated with a new posting – The Suffocation of Terror – containing more information about terror management and its importance not only for trauma recovery but also for the development of compassion. How much of a gap in time before the next post depends on my recovery process. I would like the writing to reflect that, rather than the feelings that there is no place safe and that I am not heard. Grief, loss, pain, chronic illness, can all be met with grace if we can find compassionate support through the process of healing. When this is removed, replaced with terror at the hands of those from whom we seek healing support, then the whole healing environment collapse in on itself. We are then left adrift with our wounds, questioning our own sensibility, and feeling suffocated by the collapse and terror left in its wake. This new blog format, one more suited to reader interaction, continues with its focus on how to live a compassionate life. compassion. The goal is to describe the compassionate life and thus offer tools to help others with their compassionate life. 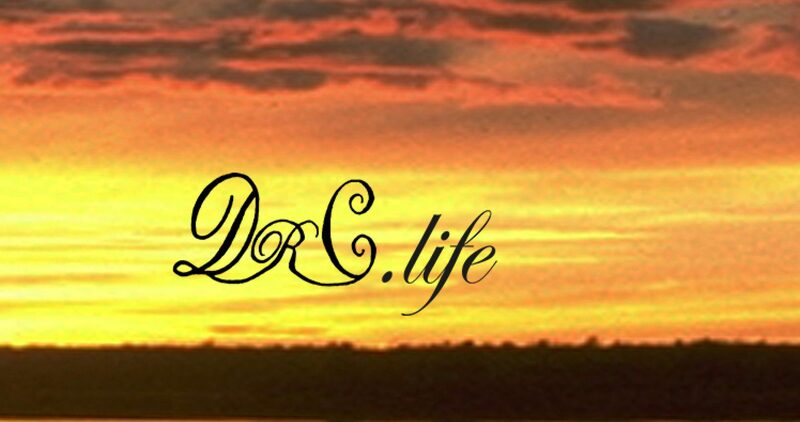 The DrC (Dr. Compassion) blogs on the website DrC.life provide a backpack for the difficult journey of living a compassionate life within a hectic world. The blogs share the story of one man’s journey infused with wisdom from practice as a healer/mystic and as an academic. I have always been hypersensitive – a shining, platinum, curly haired, child who communed with the animals and felt deeply the emotions of others. Called a “cry baby”, “sissy”, and “in need of manly training”. This led to military service, Vietnam, and Agent Orange exposure, but not a dampening of that sensitive soul within. Over the next few decades that sensitive soul would find ways to express sensitivity to the suffering of others, eventually leading to a doctoral dissertation on advanced empathy. This was followed by post doctoral work linking advanced empathy to compassion. The web of connections between the two led to writings on many different topics in order to cover not only the different ways people live a compassionate life, and also how we could teach this. These blogs here are a continuation of that effort. This is not the first blog. There are 22 earlier ones all describing the compassionate life. The difference with these new blogs is reader feedback. The past blogs sought to communicate the complexity of living a compassionate life in an easy to understand story telling style, a style quite different from the academic writing style found within much of this author’s other works. The past blogs also sought to make connections between the story within the blog and the more in depth academic like writings of the past. These new reader interactive blogs will continue to follow this format but with reader – author discourse enriching each blog. There has been more than a six month hiatus between the last blog and this one. There was a series of injurious events, and I almost entitled this blog “When bad things happen to good people”. I wrote a blog of that name nearly a dozen ways, but was never satisfied. It sounded either like whining, rage ranting or just complaining, and my writing focus has always been about solutions. But, just a quick revisit to the past six months so you have a picture. Here’s the list: 1. Moved (mostly by myself, with partner) to a new home in a new state – giving up two pets and a beautiful garden, 2. Fell down the stairs in the new home (poor lighting) and injured shoulder, 3. Eye surgery done on the wrong eye led to some vision loss, 4. Changing VA care from one state to another led to medical records not being reviewed – at two different facilities, with the threat of changing the treatment that was currently providing quality of life. 5. Kidney stone event at home alone with intense pain. 6. Two weeks of bronchitis. The blog was out there waiting for me to engage with it but remained unreachable by the writer’s voice, muted by the suffering linked to this chain of events. Intertwined with this list of stressful events, occurring at the same time, was the slowly progressive condition of Parkinson’s Disease. The time in the military resulted in toxic chemical exposure at two different times, the results of which showed in minor ways as neurological motor disorder symptoms – a bit like a cross between MS and non-shaking Parkinson’s. Because of its unusual presentation, not really looking like Parkinson’s, it was not diagnosed as such until age 65 and is still “under debate”. As the driver in this flesh machine I can feel all the subtle signs, and on occasion – a bad day plus and “off period” – a doctor can also. In addition, I have a highly sensitive unusual nervous system (unique reactions to Novocain, nervous system meds, and pain meds) – which is documented in several places in the medical records. Adding to the difficulty to diagnose this condition is my Ph.D. in rehabilitation counselling and putting in place my own, quite serious, rehab plan. Such a plan has, I believe, and the research supports this, diminished the outward effects of the Parkinson’s. But even knowing all this, it is still very hard to have the VA doctor tell you “Now go home and consider that you might have PTSD and that this is what is causing these symptoms”. There was quite a bit of evidence in the medical records to indicate this was not an appropriate diagnosis, but the doctor had failed to read these records. We did not return to that doctor, but went to another and the same “failure to read the records” happened. Fortunately, my partner brought a copy of the records with her this time and the misdiagnosis was halted in its tracks. I took the opportunity to write to several persons in the “chain of command” about the problem of failing to access medical records and about practical solutions. (As of the date on this blog communication was sent to the state senator following a lack of response from other correspondence). The next step was for me to heal. As I wrote, and revised several times, the blog “when bad things happen to good people” I was searching for an answer to the question – why? It’s something we all ask when we see things happen to our friends, our loved ones, our neighbors and to ourselves. There are many books on the topic and I thought of brining that information into the blog, but this time it wasn’t academic. This was personal. Why did I think all of this was happening TO ME! Part of my healing is this story telling, and it is NOT the story heard inside the heads of those who barely know me. The past blogs, “Who the heck do you think you are”, speak to this, to the fact that we all carry within us a sense of our true self. When that is shaken we can become ill (in many ways) and we need to take the time to heal, to return. Get up means just that, in a really physical way, get up out of the chair and start moving back into life. With Parkinson’s this is an important first step. Get up also meant get up and be ready to do something to make things better, and this meant healing. Show up – show up for the opportunities that will present themselves. There were many in my life and most were on hold waiting for me to get up, to heal. Following “bad things”, showing up “to do” should proceed with caution. Too much, too fast (such is the nature of our culture) and relapse back to needing healing can easily occur. Start with small steps, gently, with a soft grace. This is not an excuse for procrastination, but rather rationale to go slowly when recovering from traumatic events. Once you start showing up for things in your life again then add reach up – reach up to God and reach out to others for support. Not from a whining, “poor me”, place but from a place of genuinely needing help that can be provided within the given relationship, from the unique qualities of that relationship. Then repeat the mantra – followed by acting accordingly. This is part of living a compassionate life, taking care of yourself so you can continue to be of service. Speak kindly to yourself while on this healing path and remember that the blessings of compassion apply to the healer as well. If you don’t see the comments feature below then click on the recent post name of the same blog title or the blog title directly. The comments feature will appear (Disqus format) at the bottom of the blog.